KAOS 89.3 FM is a non-profit, non-commercial, college station that has invited the community to participate! 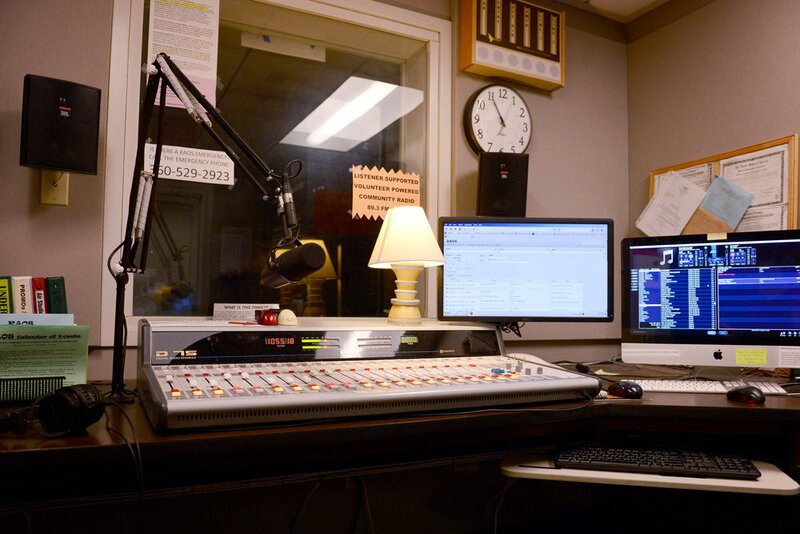 The station broadcasts at 89.3 FM at 1100 watts, 24 hours a day, 365 days of the year. Its coverage area includes Olympia/Lacey/Tumwater, Thurston County, Shelton, Mason County and portions of Lewis, Pierce and Kitsap Counties. KAOS is licensed to The Evergreen State College, Washington’s innovative four-year college, nationally acclaimed for its interdisciplinary studies in the liberal arts and sciences. 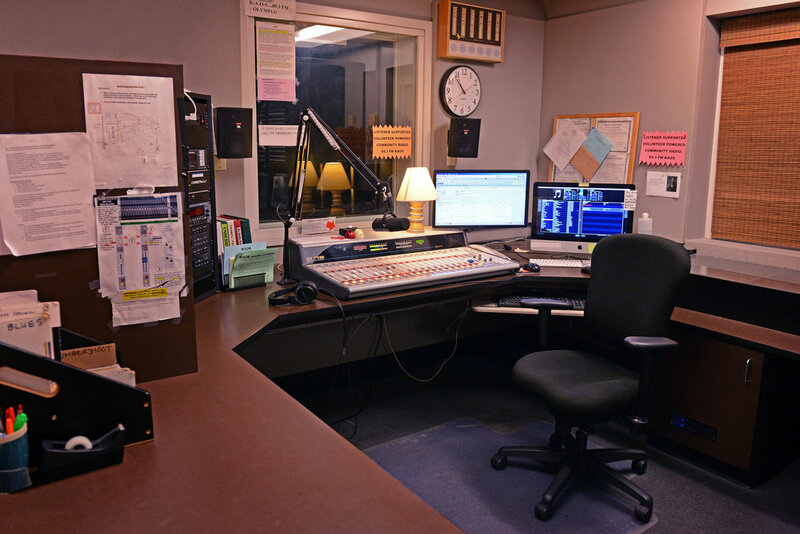 The station is a member of the National Federation of Community Broadcasters, Washington Public Broadcasting Association, Washington State Association of Broadcasters, Pacifica Radio Network, and Public Radio International. 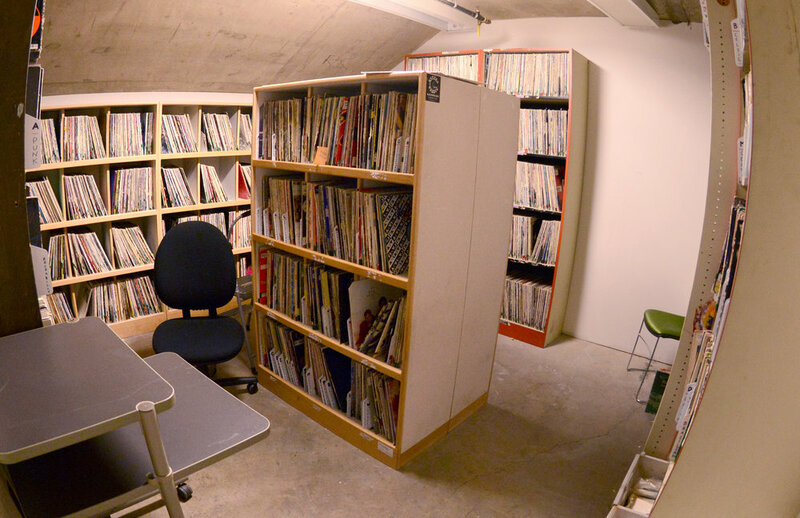 By remaining a beacon of education in music, media and communication studies since 1973 in Olympia for the Evergreen State College students, alumni and community members, KAOS empowers all involved to gain experience in the world of radio and explore creative endeavors. KAOS is dedicated to presenting voices, underrepresented by mainstream media. By demonstrating a variety of different artists through our independent music policy. Supported in part by its listeners, KAOS depends on the contributions of donors, students, alumni and community members to function. As a public service of the Evergreen State College, our facilities can stand as a dedicated resource for educating the local community. KAOS promotes music from new artists, small record companies, and material that receives little (if any) airplay in the United States. We're committed to ensuring that at least 80% of the music played on the station comes from independent record labels and distributors. The American recording industry is made up of thousands of record producers and labels, ranging small garage-based operations to the giants like Capitol Records, who regularly produce 10,000 to millions of copies of a CD. Small companies work on very little capital. The large companies can afford to lose money on 25 or 30 records, as long they have one huge success. The key to the business is distribution. The breadth and depth of a company’s distribution network determines how many copies of a record can be manufactured (and ultimately sold); how many are provided to radio stations, record stores and other promotional outlets; and how much money is invested in promotion and publicity. With a large distribution network, a manufacturer can afford to assign 10,000 copies of a CD for free distribution to radio stations. In contrast, a small company may send out only two or three hundred promotional copies (sometimes less). The pervasive market reach of the major distributors gives them the ability to control hundreds of smaller record companies, either through distribution alone, or through partial or full ownership. KAOS has maintained this music policy since 1978, and our policy has served as a model of other radio stations. The policy has long been one of KAOS’ trademarks, making the station unique in the U.S. KAOS has gained a national reputation for its support of independent music and artists. There are two reasons why KAOS has adopted our “80% independent” music policy. Philosophically, the policy supports independent artists and businesses who are pursuing an alternative to “business as usual” in the music industry. Practically, the policy gives KAOS a unique air sound. We're always here to help you better experiance community radio.